At $200,000 well equipped when new, and comparably costly secondhand, is the Flying Spur best judged against Mercedes-Benz cars that cost half as much? Or against Rolls Royce (and other Bentleys) that run twice as much? At this price level, Bentley has carved a nice niche for itself, somewhere between mainstream luxury and overt opulence. As such, the Flying Spur acquits itself well, blending a beautiful cabin with an impressive ride and massive power. Pragmatists will likely see Mercedes’ excellent S-Class sedans as a better value. Buyers looking for something rare and special, but not insanely expensive, may find Bentley’s “entry” sedan a compelling alternative. 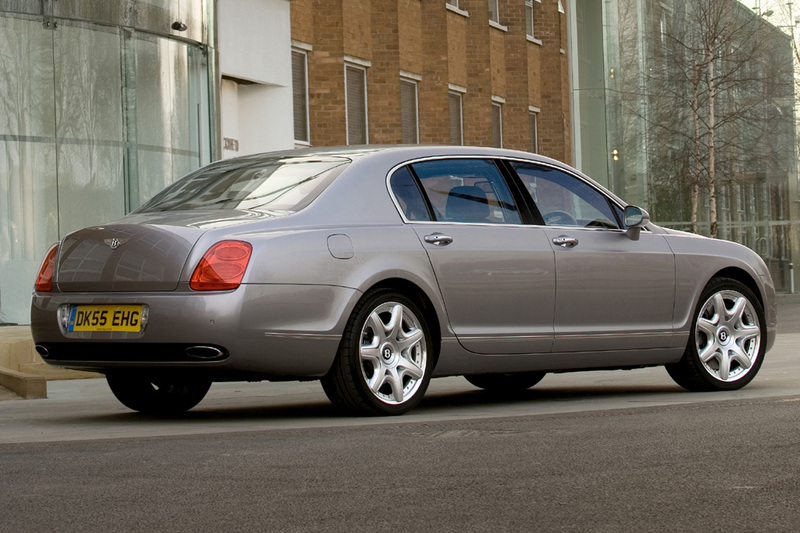 Two years after the debut of the Continental GT coupe, Bentley’s Continental Flying Spur sedan joined the British motorcar-maker’s lineup, as a 2006 model. Both shared the same basic platform and design, but the Flying Spur was nearly 20 inches longer. Fitted with all-wheel drive, the Flying Spur served as Bentley’s “entry-level” sedan, despite having a sticker price past $165,000. Beneath the Flying Spur’s bonnet sat a turbocharged 552-horsepower, 6.0-liter 12-cylinder engine, mating with a six-speed automatic transmission that incorporated steering-column-mounted shift paddles. Standard air suspension featured four driver-adjustable ride height settings. Available safety features included antilock braking, an antiskid system, front side airbags, rear side airbags, and curtain side airbags. Bi-xenon headlights were standard, as were a navigation system, wireless cell-phone link, heated front seats with memory, driver-seat lumbar massaging, heated rear seat, and four-zone climate controls. One-piece wheels held 19-inch tires. Front disc brakes were claimed to be the biggest on any production passenger car. The interior could be set up for either four or five occupants. 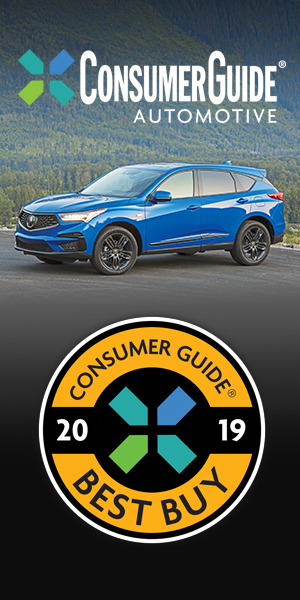 Options included a heated steering wheel, front-passenger lumbar massage, power opening and closing trunk lid, and satellite radio. Also available was a Mulliner Driving Specification package that included 20-inch wheels, additional chrome interior trim, and quilted leather seating. Inspired by the 1957 Continental Flying Spur, the modern-day model was promoted as the fastest four-door Bentley ever, promising “refinement of the highest order” along with “supercar” performance. Featuring rounded C-pillars, recessed round headlights, and a humped trunk lid, styling was called “evocative, timeless and unostentatious.” Bentley was owned by Volkswagen, and the Continental’s platform could be traced back to the Volkswagen Phaeton sold in the U.S. from 2003-06. Many parts were shared with the Phaeton and Audi’s V8, including the aluminum frame. 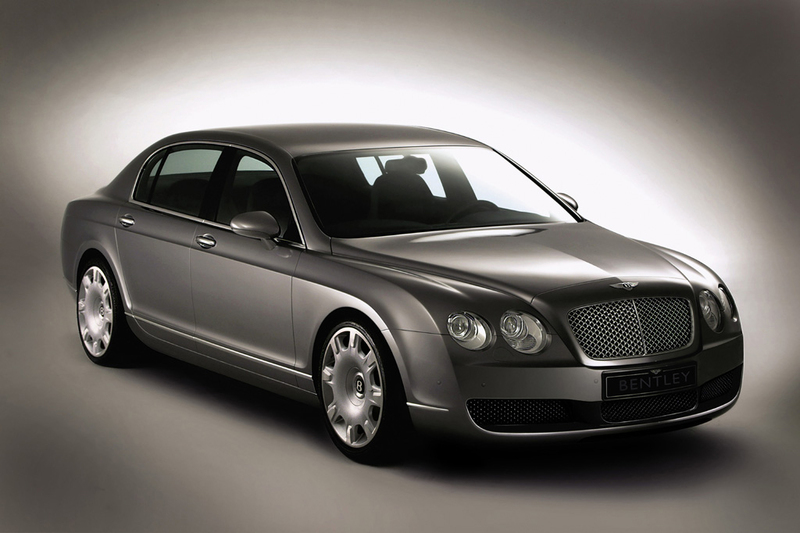 The Flying Spur nameplate hailed from Bentley’s past. From 1957 to 1965, Bentley offered custom-bodied four-door sedans, often with slightly better performance, under the Flying Spur badge. Flying Spur competitors included the Maserati Quattroporte and Mercedes-Benz S-Class; and later, the Rolls-Royce Ghost. Apart from a new navigation system and Bluetooth setup, little changed for the 2007 season. Changes were few for the 2008 model year. 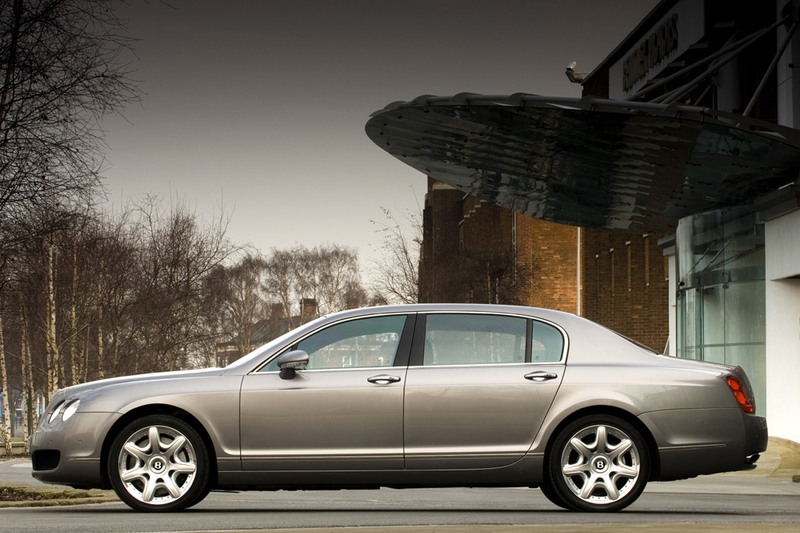 A high-performance Speed model joined the Flying Spur lineup for 2009. Instead of the usual 552 horsepower, the Speed sedan’s W12 engine made an even 600 horsepower. The Speed edition included high-performance suspension tuning that could lower overall ride height, 20-inch wheels (in place of the standard 19s), and unique trim elements. Standard Flying Spurs got minor exterior and interior styling revisions, as well as modified suspension tuning. Newly available were digital-media-player connectivity and an audiophile Naim for Bentley audio system. Bi-xenon headlights were standard on all models. No significant changes were evident for 2010. Bentley’s “entry-level” sedan continued with few changes. Both engines could run on E85 ethanol-blended fuel. Except for a revised navigation/infotainment system, with a new screen, changes were few for 2012. A Series 51 package offered unique interior and paint-color schemes. Options included rear picnic tables, a refrigerated bottle cooler, and ceramic composite disc brakes. A rearview camera also was optional. Until 2009, all Flying Spur sedans held the same powertrain: a turbocharged, 6.0-liter 12-cylinder (W12) engine, working with a six-speed automatic transmission and all-wheel drive. 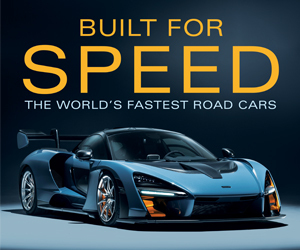 For 2009, a 600-horsepower engine went into the new Speed model. Expect an impressive blend of raging power and silky delivery from Bentley’s W12 engine. Power comes on immediately, even when starting off from a stop. Wheel slip is non-existent thanks to standard all-wheel drive. Bentley’s butter-smooth transmission shifts almost imperceptibly, though some testers have found the transmission slow to downshift as needed at highway speed. Bentley claimed 0-60 mph acceleration in 4.8 seconds with the base model, versus 4.5 seconds for the Speed edition. No one would expect frugal motoring from a Bentley, and that appraisal would be correct–especially in city driving. In Consumer Guide testing, a Flying Spur averaged 14.1 mpg. All Bentleys require premium-grade gasoline. When equipped with 20-inch tires (as part of the Mulliner Driving Specification package), even the largest road imperfections are soaked up with impressive ease. However, smaller bumps are felt too often, likely because of the performance-oriented tires. Driver-selectable suspension settings have little impact on overall ride comfort. Consumer Guide has not yet tested a Flying Spur with the standard 19-inch tires. Although the Flying Spur always feels large and heavy, this top-end sedan imparts more sportiness than might be expected. Lean in corners is well checked, especially with the suspension tuned to the most aggressive setting. The steering could use more feel, but is without sloppiness. A spongy pedal marred overall brake feel. Likely a function of the available 20-inch tires, more road noise than expected filters into the Flying Spur’s cabin. Bare concrete surfaces especially kick up a fuss. Wind noise, however, is entirely suppressed. Both the engine and exhaust can be heard distinctly during acceleration, something our testers have found to be appealing. Large, boldly marked gauges are clear and easy to read. Most major controls are within easy reach and plainly marked. Unfortunately, audio control is via the navigation system, which complicates even simple adjustments. Kudos to Bentley for not succumbing to a control-interface system along the lines of BMW’s iDrive or Audi’s MMI. Interior detail work is simply glorious. Nothing that can be touched is made of anything but the highest-grade materials. Quilted leather seats and door inserts look and feel luxurious. Real metal and furniture-grade wood accents underscore this Bentley’s country-club-like environment. Top-notch assembly quality is obvious throughout the cabin. Likewise, the Flying Spur’s paint is uncommonly smooth, entirely free of the orange peel dimpling that’s common in automotive finishes. Huge supportive front seats supply imperial long-distance comfort, though headroom is only adequate for taller drivers. The daunting array of seat adjustments can confuse at first, but allow for extreme comfort customization. Visibility is generally good all around, though rather thick front pillars compromise the forward view to the corners. Large doors make for easy entry and exit. Rear seats also are impressively comfortable and supportive. Large doors permit easy entry and exit, too. The Flying Spur’s trunk seems larger than the quoted 17-cubic-foot capacity. A large opening and low liftover add to overall usefulness. In-cabin storage is less impressive. The CD changer and navigation-system DVD player consume much of the glovebox, and console storage is limited to a small ashtray and tiny in-armrest cubbies. Also disappointing is the single drink holder, which requires the armrests to be folded up for use. Description: Vehicles have potential for road sale to corrode the outer surface of the fuel filter; could lead to filter housing becoming porous, with a corresponding fuel leak. Description: Center rear seatbelt upper guide bracket could distort in the event of a frontal impact, could result in center rear occupant traveling further forward than the design intended. Price Note: Add $3700 Gas-Guzzler Tax. Unique leather upholstery and interior trim, knurled chrome and leather shift knob, alloy pedals, leather headliner, 275/35R20 tires, unique alloy wheels. Unique interior trim, knurled chrome and leather shift knob, leather headliner, 20-inch alloy wheels. Rearview camera, front & rear privacy handsets, iPod adapter, valet parking key. Base requires 20-inch alloy wheels. Includes power headrests, center console w/wood trim. Price Note: Add $5400 Gas-Guzzler Tax. Knurled chrome/leather gear shift knob, unique interior trim, 20-inch alloy wheels. Adaptive cruise control, rearview camera, iPod interface system, valet parking key. Wood-trimmed rear picnic tables, lambswool floormats, unique interior trim, alloy gas cap. Includes center console, rear audio jack, power headrests. Adaptive cruise control, rearview camera, front and rear privacy handsets, valet parking key. Unique interior and exterior trim, 2-tone paint, special alloy wheels.